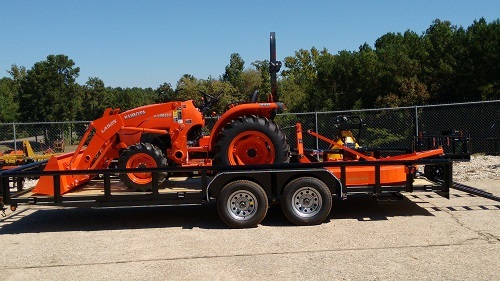 Rucker Equipment L2501 HST Package Deal | Rucker Equipment Co. The HST transmission offers simple forward and reverse change and 3-range shifting for optimal operating efficiency. It provides infinite speed control with the HST pedal that can be operated simply by pressing down on the pedal. Cruise Control is optional on this model. When installed the cruise lever is conveniently located on the left side of the operator's seat for easy access. Financed thru KCC*, zero-down, with extremely low APR financing (typically less than 1% APR): $26,256.00 minus $3,071.00 equals $23,185.00 or about $387.00/month for 60 months.